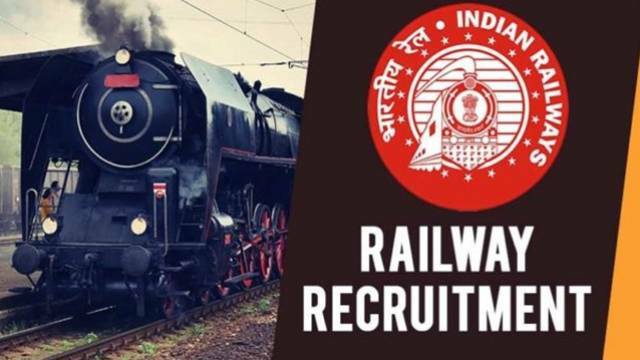 Exams for the Recruitment for the post of Loco Pilot is organised by Railway Recruitment Board every year. Every year a large number of candidates appear for the examination. The first stage of the ALP is computer based test. Before appearing for the exam, the candidates need to study hard and prepare well so that they can clear the cut off. The exam is not easy and the candidates really need to practice so as to clear the railway loco pilot exam. The practice of the RRB Assistant Loco Pilot exam can be done by practicing the previous year question papers or the model test papers. The question papers are also available in Hindi and the candidates can download it easily from the links. To make your preparation better it is important for the candidates to practice the question papers as from these papers you will come to know the pattern of the exam and how you must attempt. You will get to know how much time you must devote to the different type of questions. It will make your preparation more sharp and the candidates will also be able to improve their performance by practicing the papers. The questions papers are available on the internet and can be downloaded by the candidates easily. The papers of loco pilot are downloaded in the PDF form and are saved in your device. Practice before appearing for the examination. Solve the mock test everyday so as to analyse your performance because then only the candidates will come to know their weaknesses. By solving the previous year questions papers which are also available in Hindi will help you to attempt the exam with accuracy. You will get to know the level of the questions which come in the exam. The candidates will also get to know the exam pattern and they can also plan the strategy how they will attempt the paper. By practicing the question papers, the candidates can cover the syllabus accordingly by properly analyzing how the questions come in the exam. RRB ALP First stage – The first stage of loco pilot exam is Computer based test. To get eligible for the next exam it is important for the candidates to clear this exam then only they can appear for the second stage. This exam is of 60 minutes which has total 75 questions. RRB ALP Second stage – The second exam is also computer based test and the duration of the exam is 2 hours and 30 minutes. It will be in 2 parts A and B. In the part A there will be 100 questions and in part B there will be 75 questions. RRB ALP Third stage – Those who will clear the second stage CBT must score minimum marks 42 to appear for computer based aptitude test. In this test there will be no negative marking and the answer options will only be given in Hindi and English. After clearing all the stages, document verification will be done. A lot of candidates after appearing for the exam wait for the answer key. Answer key contains all the answers of the questions which had come in the examination. The candidates want to download the answer key so that they can get to know how they have attempted the questions and can get an idea of the correct answers. They can also estimate about the scores they will get through this. The answer key of loco pilot exam will be released on the official website of Railway recruitment Board. The candidates can predict the marks they will score in the exam. The estimation is not exact but they can get an idea of their scores from the answer key. From the official website of RRB you can check the answer key of the different regions. The candidates must know the cut off and prepare accordingly so that they can also score the minimum marks required. Cut off are the minimum marks which are necessary for the candidates to score then only they will be eligible for the next level. There you will find the link to download RRB ALP result. Click on the link and the login page will appear where you have to fill some details. After the details are entered, submit it. However, as the competition is increasing, so it becomes really important to study hard so that they can clear the cut off. The question papers of railway loco pilot are available in Hindi which can be downloaded and practiced by the candidates.